A British passenger has died and nine others have been injured in a bus crash on a P&O Cruises holiday. They were on a shore excursion on the Caribbean island of Dominica on Wednesday when their tour bus was involved in a collision. The P&O ship Azura sailed from Southampton on 28 October with more than 3,000 passengers on board. 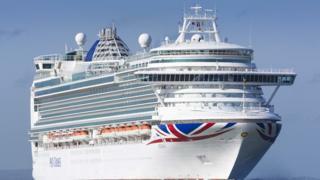 P&O has confirmed that all those injured are British, and have been treated at a local hospital. In a statement, the firm said: “P&O Cruises regrets to confirm that a bus operated by a shore excursion provider was involved in a collision in Dominica on Wednesday lunchtime. The company said the majority of those injured had been discharged from hospital. Senior vice-president Paul Ludlow said: “Our thoughts and prayers go out to everyone touched by this tragic event. 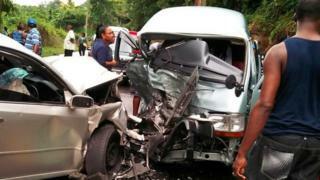 The Foreign Office confirmed the deceased person and nine injured bus passengers were all British nationals.